This year I am sharing some thoughts or ideas to help us live this year to the fullest, to make this a year of remarkable living. Join me here for an astounding journey through 2015. Technology is an amazing thing. The advances that are being made in this field are simply mind boggling. New technology is constantly being developed and it mostly makes our lives easier, more efficient and often faster. However, sometimes new technology comes at the expense of something else. 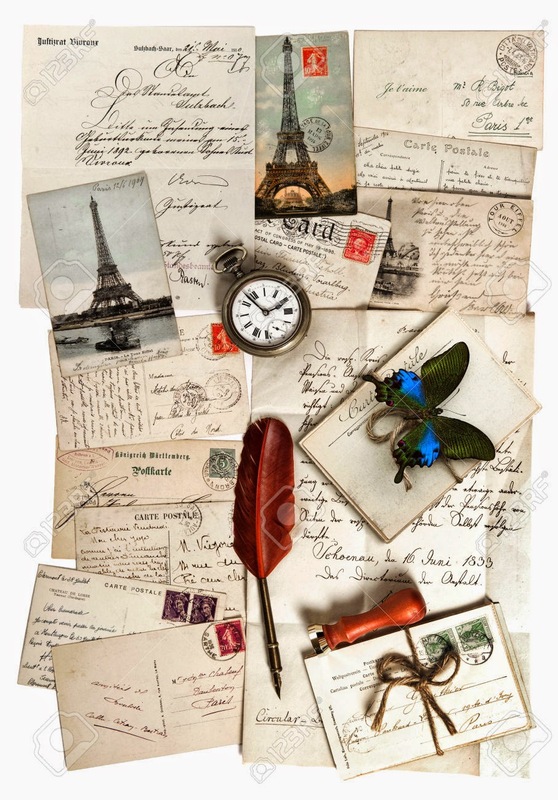 One such a thing is the art of letter writing, AND the joy of receiving one. No, not an e-mail, nor a typed letter, but an honest to goodness handwritten letter. Do you remember those beautifully printed writing blocks? Soft lilac pages with a bouquet of roses watermarked on them or those rich, creamy, slightly textured pages, that felt exquisite under one's fingertips. My favourite papers were those fragile, onion skin ones in palest pink and green, delicately scented. I remember the excitement I felt when the postman came past. Would he be dropping off a letter for me, I would wonder. Then the excitement of opening the letter addressed to me, and the surprise of pressed flowers tumbling from between the crisp pages. So, my idea is to revive the dying art of letter writting this year. Take the time once a week to put pen to paper and write a letter to someone. It can be written to anybody. You don't have to post it if you do not want to, but just write it as if you are going to post it. Send somebody a little bit of love, a little note to say you were thinking of him or her. Writing a letter is a beautiful way to connect with somebody. It is an excellent way to express your feelings. Here are some ideas of letters you can write. 1. A letter to your husband. 2. A letter to your grandchild. 3. A letter to yourself. 4. A letter to your mom / dad / parents. 5. A letter to your 10 year old self. 6. A letter to the first one who kissed you. 7. A letter to your first pet. 8. A letter to a favourite teacher. 9. A letter to your first friend in kinder garden. 10. A letter you would like to receive. On the 17th of January of every year, the USA celebrates their "National Send a Handwritten Letter Day", and the 17th of each month in 2015 will be designated as additional Send a Handwritten Letter Day, so why not join in the spirit of this? If you can't write a letter once a week, try to do so at least once a month. If you stop by here please share with us who you would like to surprise with a handwritten letter, I would love to hear from you.